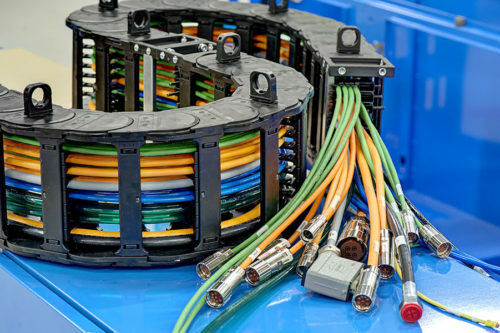 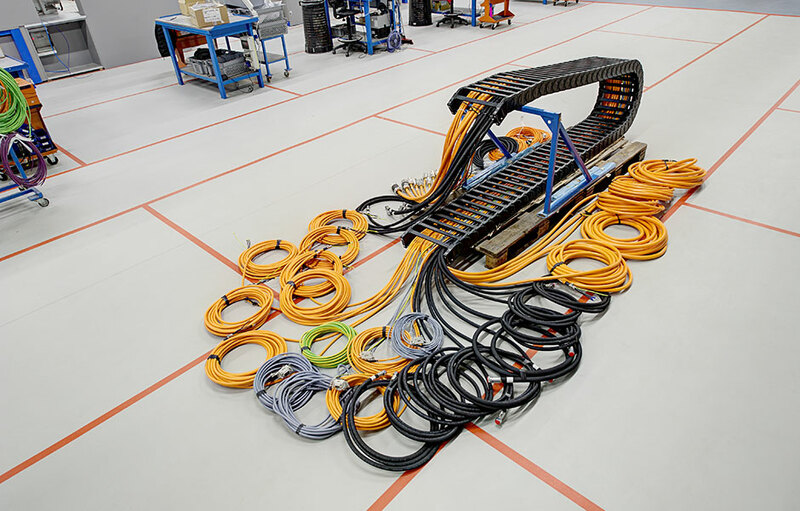 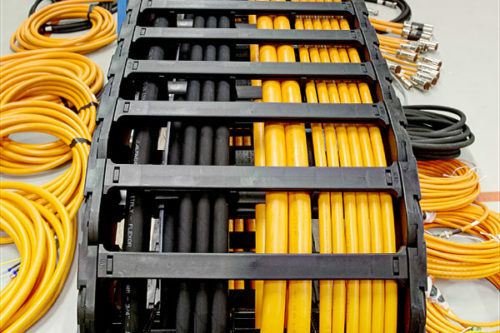 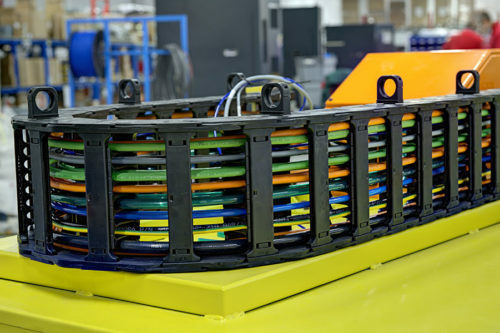 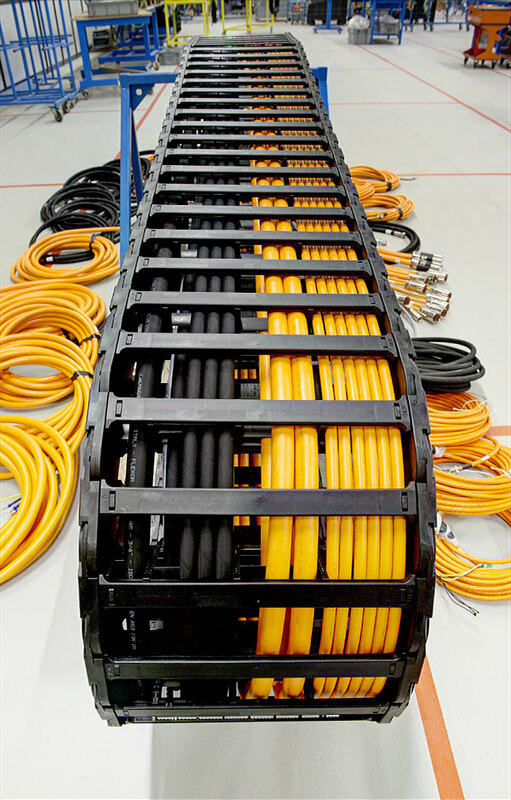 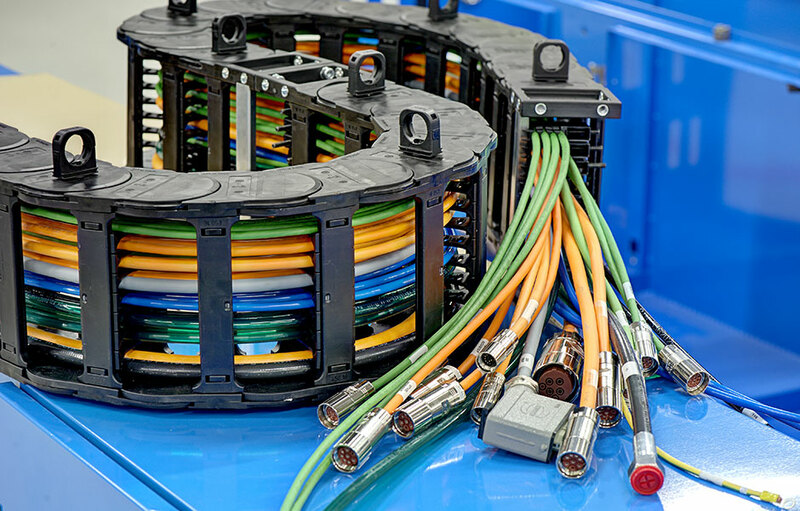 the cable holder chain is the solution in connection systems with maximum levels of integration. 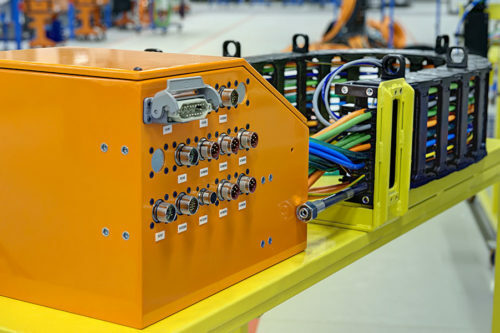 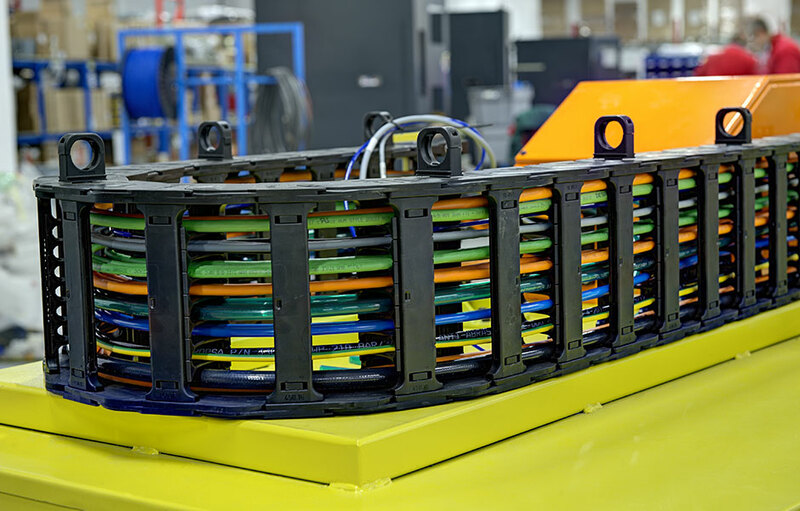 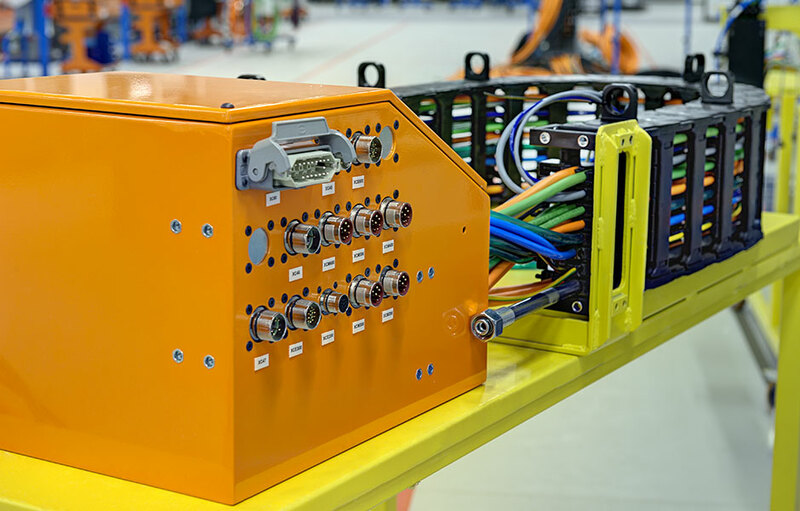 The chain is wired and assembled with e.motion components (motion control connection system) and e.connect components (onboard machine connection system) and with the addition of hydraulic, pneumatic and hydraulic parts. 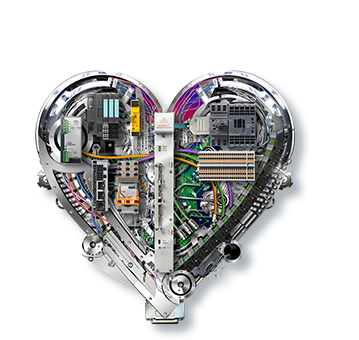 The system is designed, built and installed on a turnkey basis.